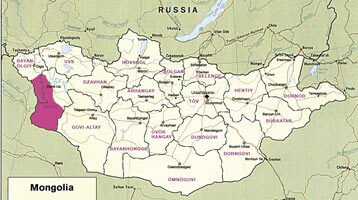 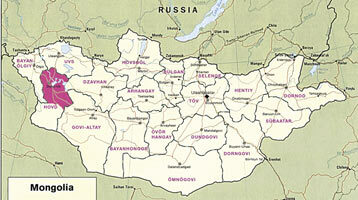 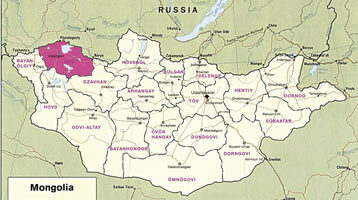 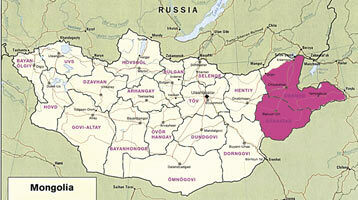 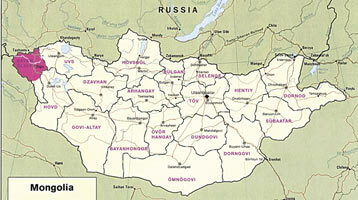 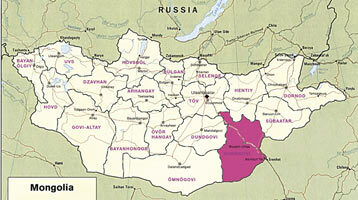 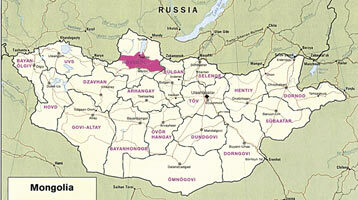 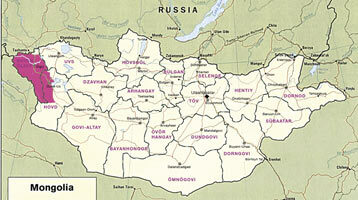 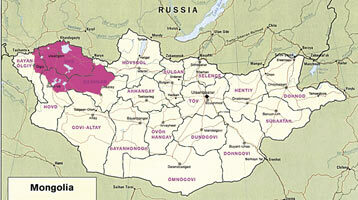 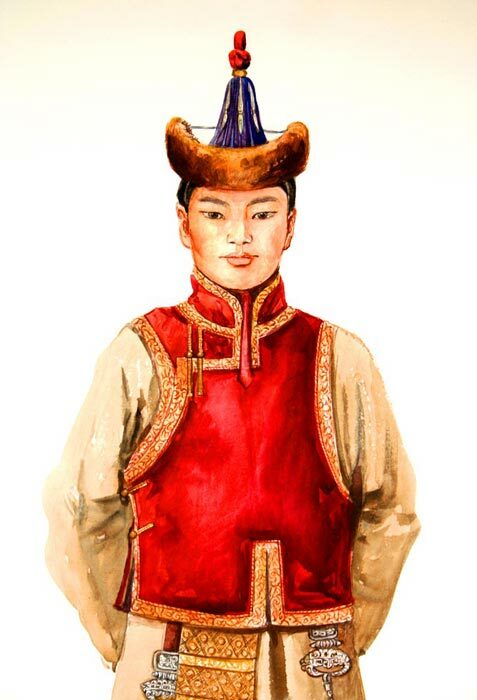 There are more than 20 tribes of Mongol or Turk origin living in Mongolia ! 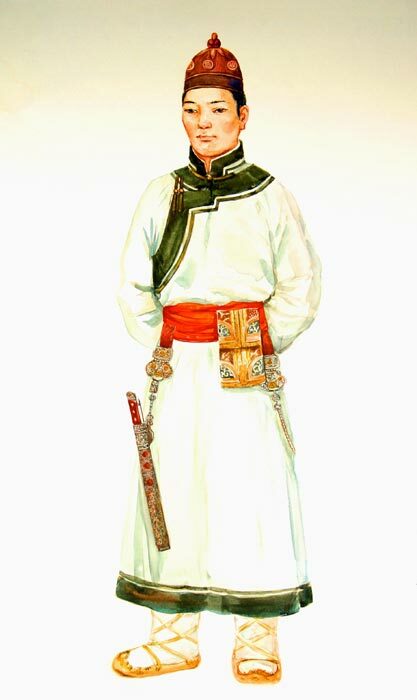 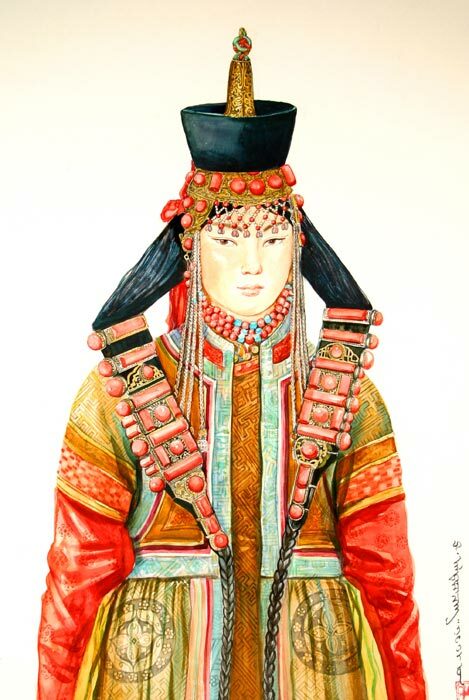 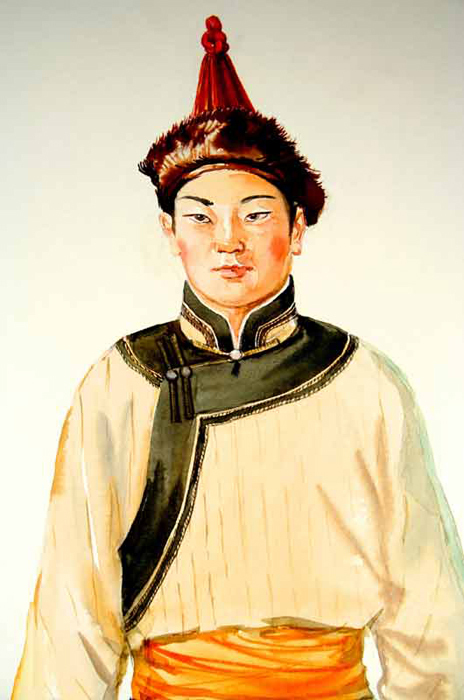 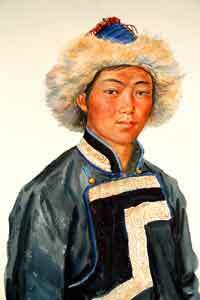 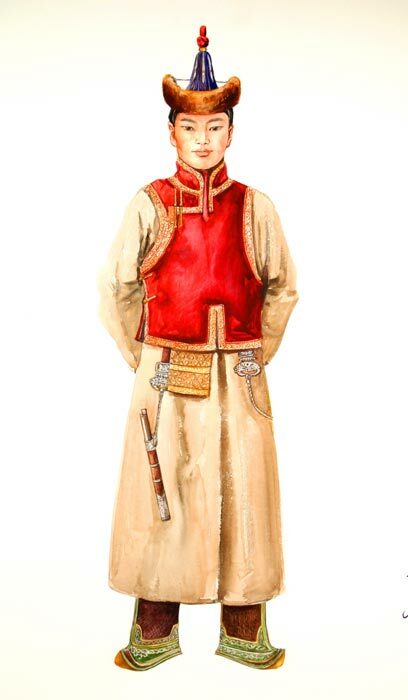 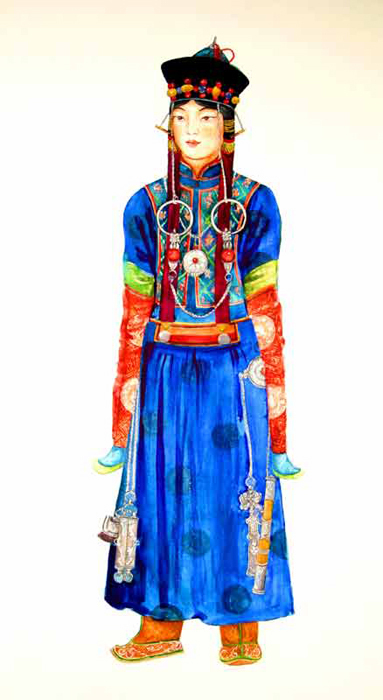 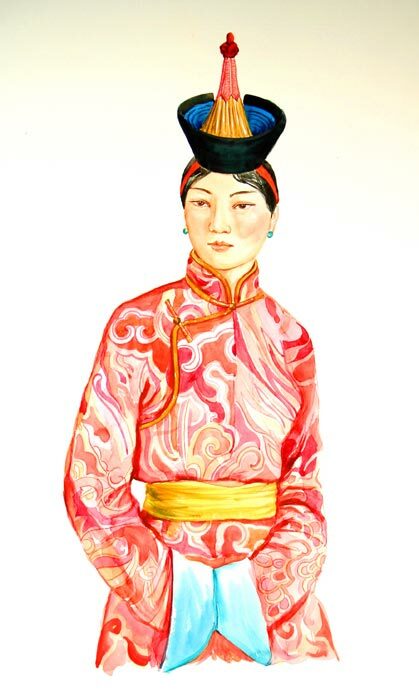 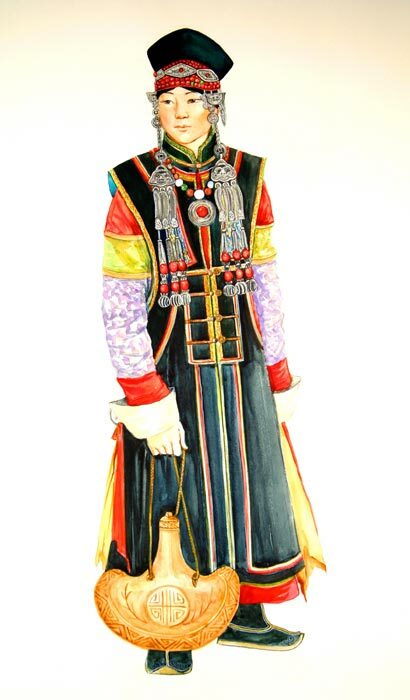 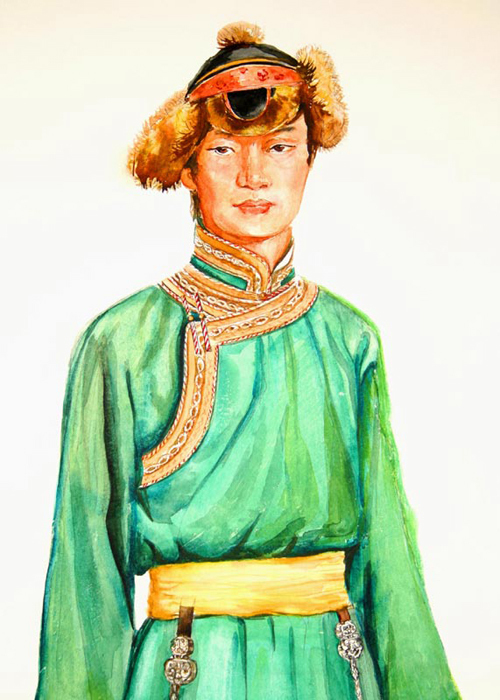 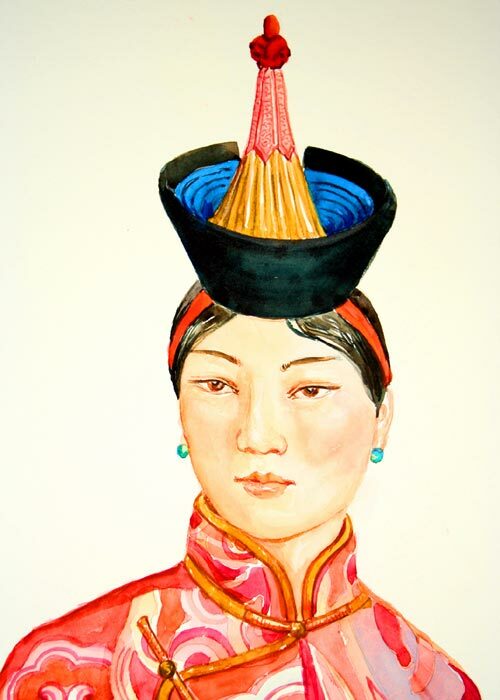 The traditional dress of the Mongols has a rich history spanning many centuries. 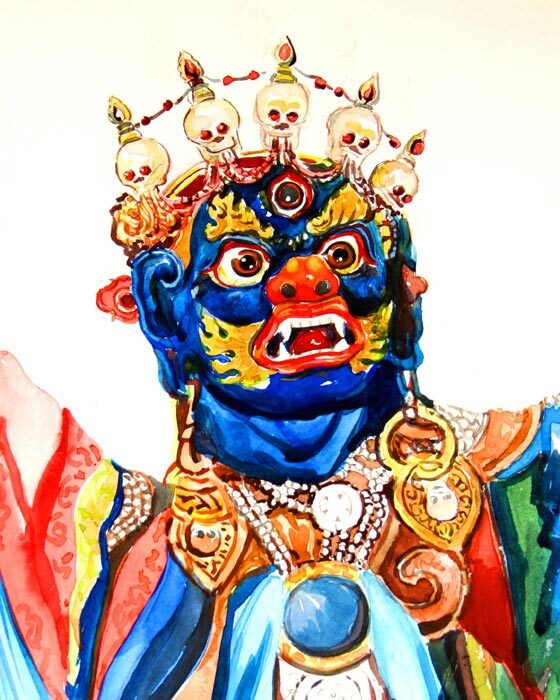 It is closely connected with the Mongolian way of life and the country. 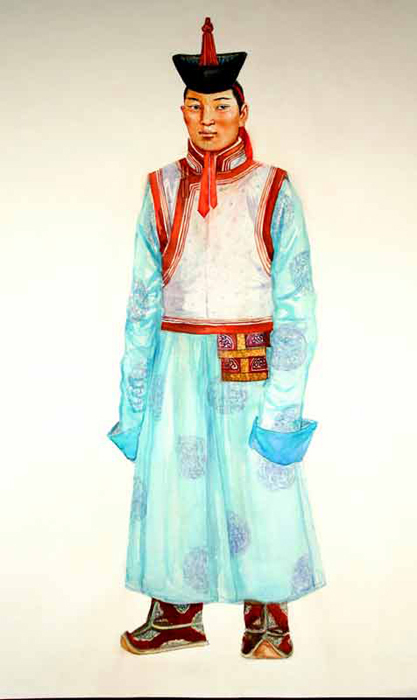 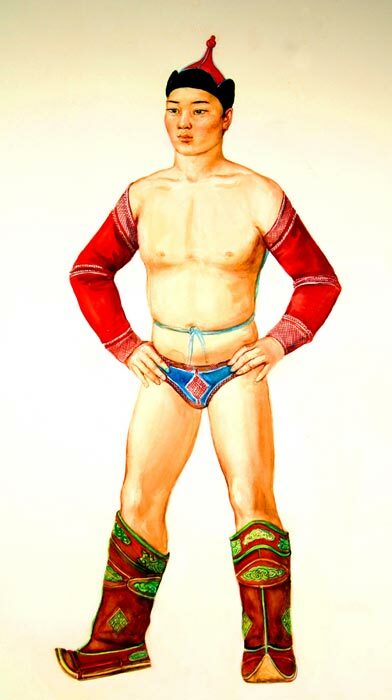 The costumes are used in different situations; somebody rides on horseback over the steppe, he sits at home in his ger (yurt - round felt tent), or he dances at a national festival. 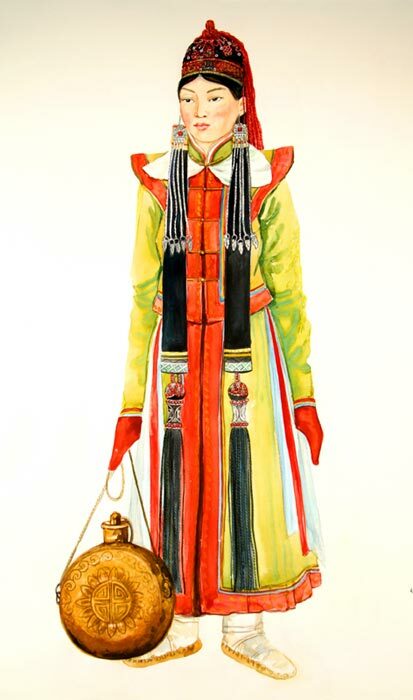 The conditions of climate excert influence on the kind of dress, the costumes for the seasons of the year. 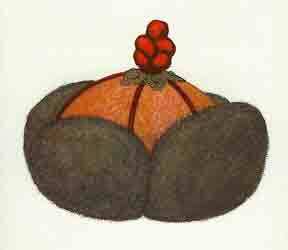 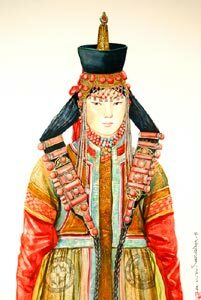 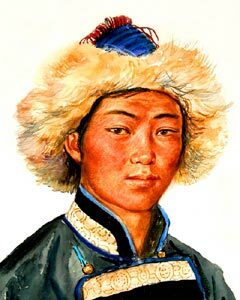 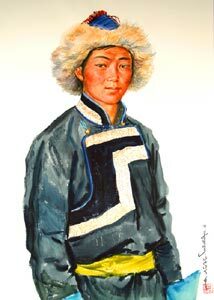 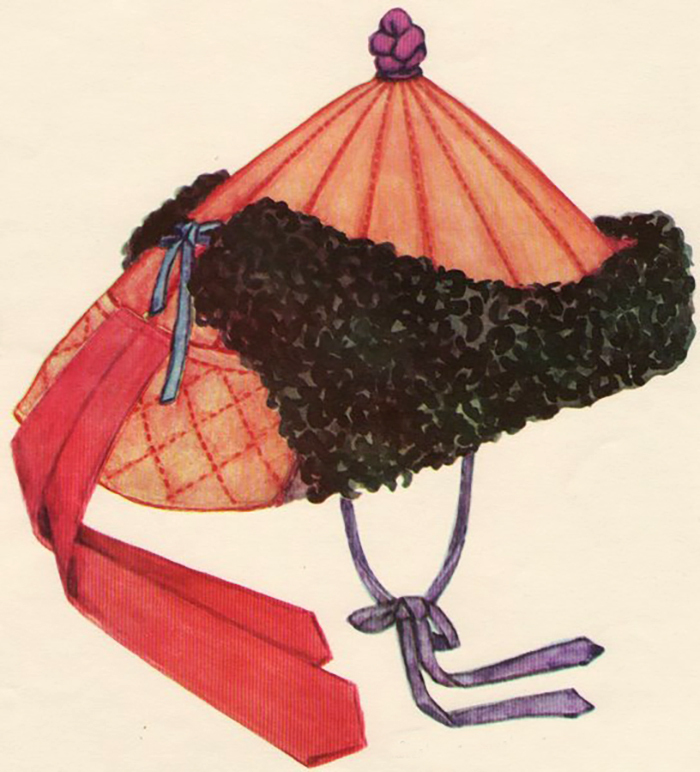 In summer the Mongols wear a light coat or frock, the "Terleg" (deel - summer coat), in spring, autumn and winter a wadded coat (row cotton), the "Khovontei Deel", or a lambskin coat, the "Khurgan Dotortoi Deel", in winter they wear a sheepskin dress reminding of a fur coat, the "Tsagaan Nekhii Deel". 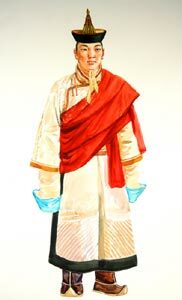 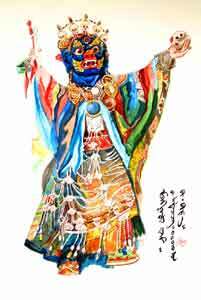 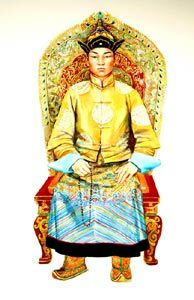 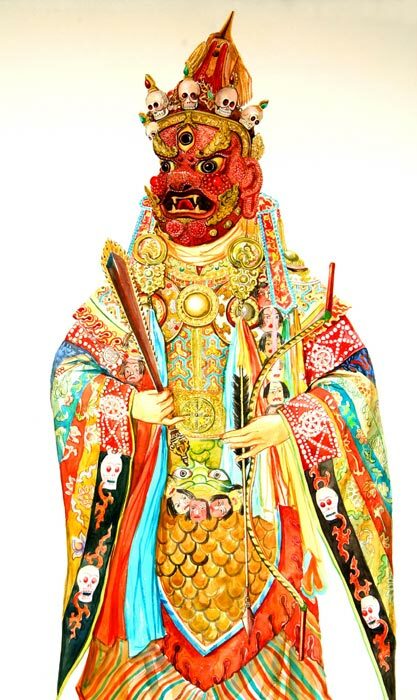 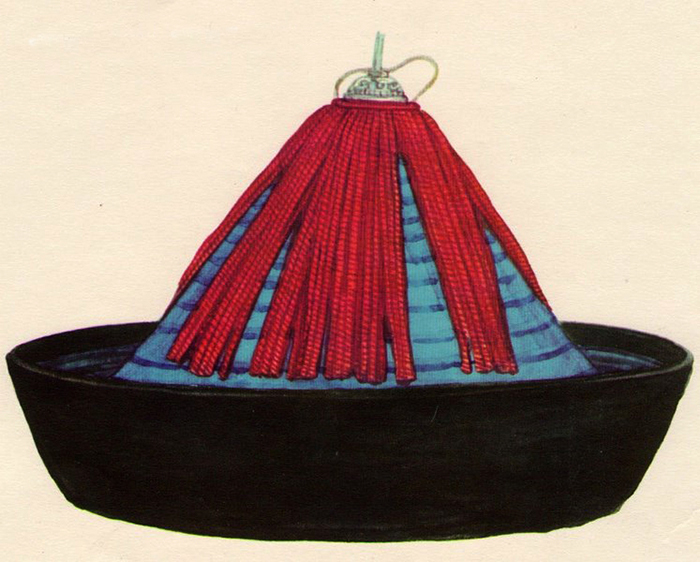 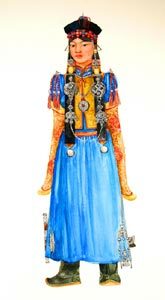 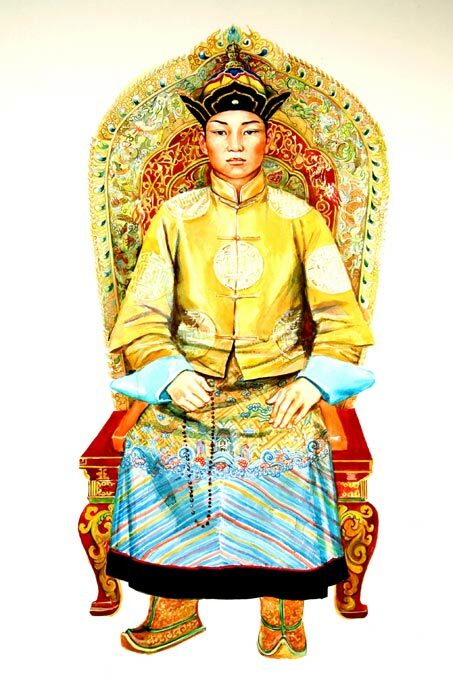 The Mongolian national costume is a robelike garment called a deel, that, like the Tibetan robe, has no pockets. 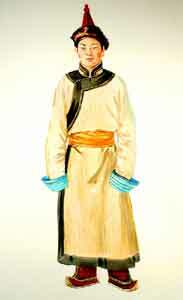 The deel is worn with a thin silk sash several yards long tightly wound around the waist. Attached to the sash are essential objects such as the eating set, tinder pouch, snuff bottle, and tobacco and pipe pouches. Mongols, like the nomadic Tibetans and Manchurians, use an ingeniously designed eating set incorporating a sharp knife and a pair of chopsticks, and sometimes also includes a toothpick, ear scratcher, and a tweezer. 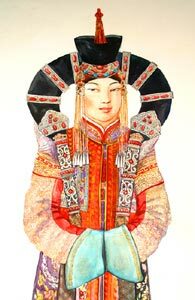 They are made of precious metals and embellished with semi-precious stones. 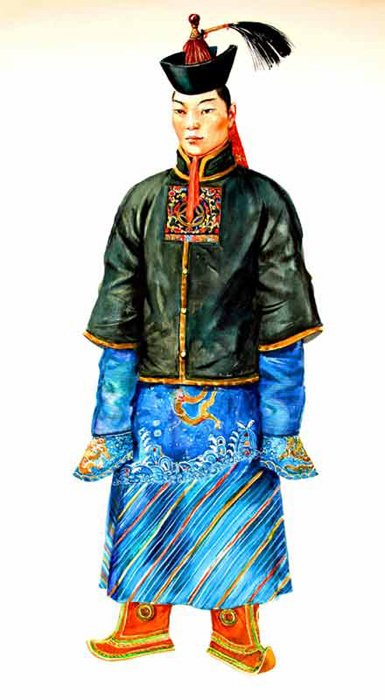 The dress reflects the age of the wearer. 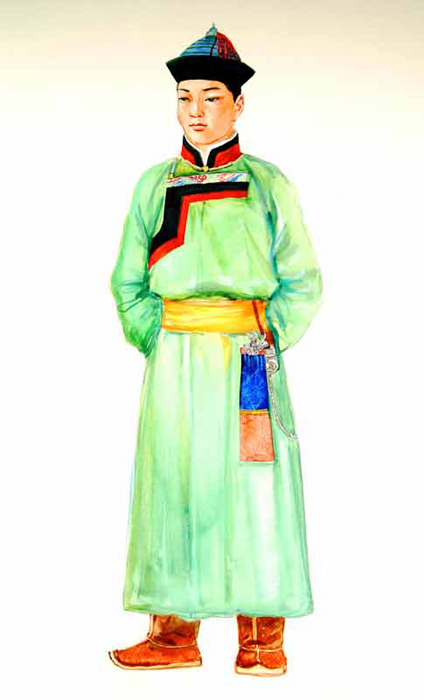 The costumes of elderly people are, as a rule, modest and plain. 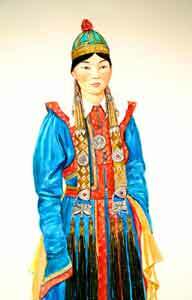 The female dress shows differences between the attire of the girls and that of married women. 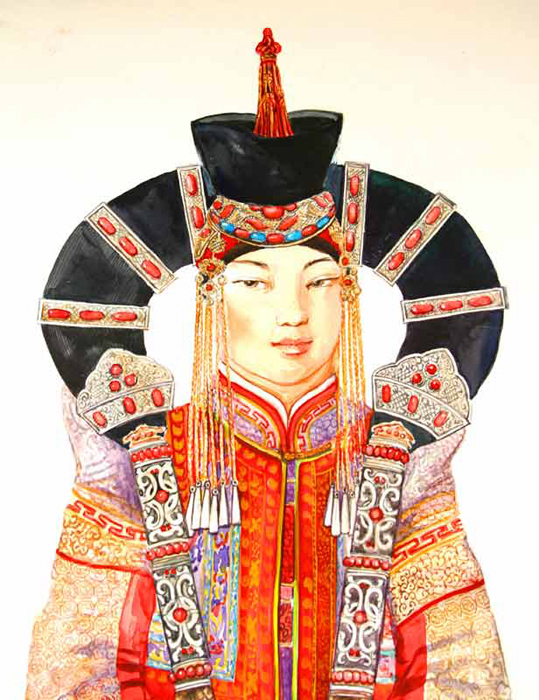 The latter is decorated and adorned more splendidly with ornaments and jewellery. The design of the garments, the combination of colours as well as the decorative ornaments speak of an old tradition. 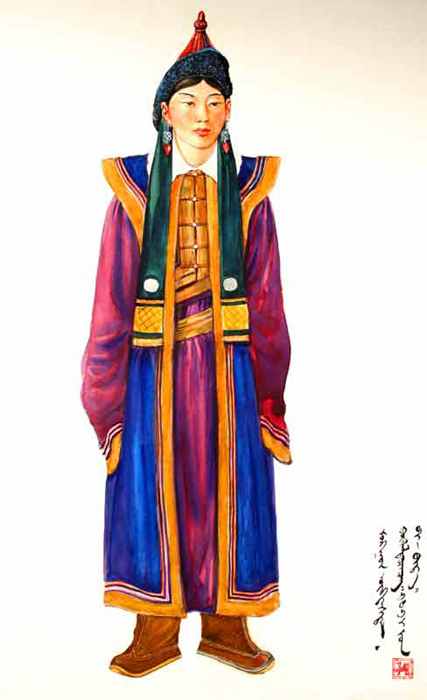 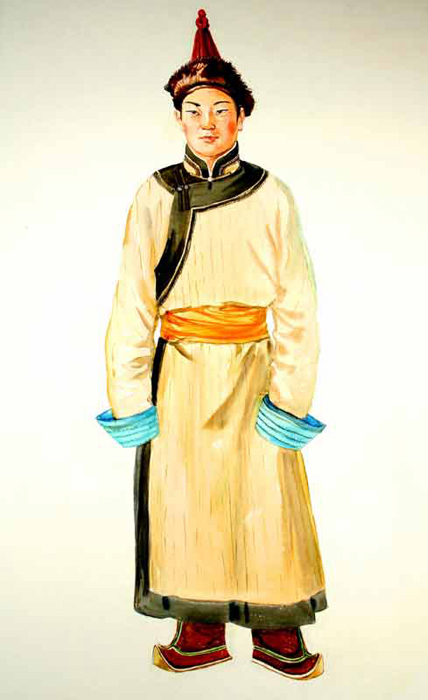 The national costumes were mostly brown and dark blue. 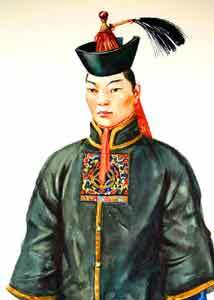 The Mongols wear the coat with the oblique border, the "Tashuu Engertei Deel", and the coat with the rectangular border, the "Durvuljin Engertei Deel". 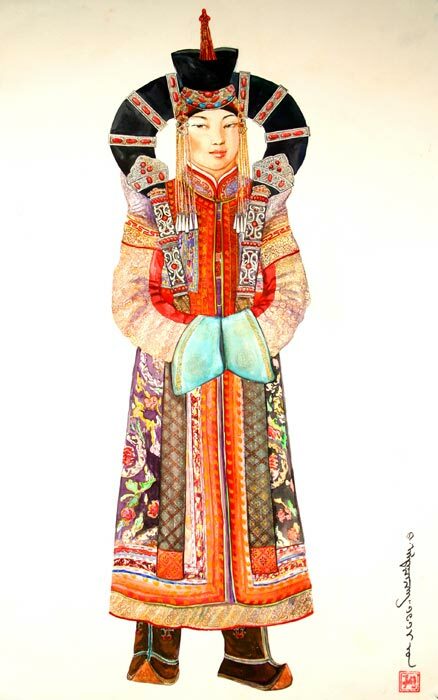 The materials from which the dresses were sewn were either produced by the people themselves, such as "leather, wool, and fur", or dresses have been made from silk, cotton, wool, and brocades and were richly decorated with jewellery and ornaments of gold, silver, corals, pearls, and precious stones. 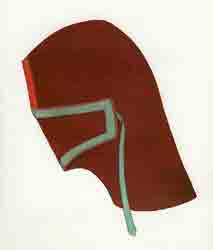 Every nationality has its own headdress (i.g. 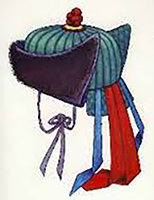 the "Toortsog", "Yuden", and "Zharantai"), hence there are many different kinds of caps and boots. 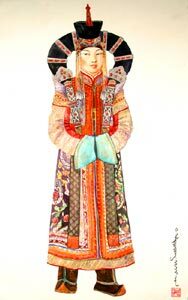 The master (male or female) was able to glue, quilt, and stuff with wadding; he knew the symbolism of the ornaments used on the dresses, the symbolism of the colours and their combination. 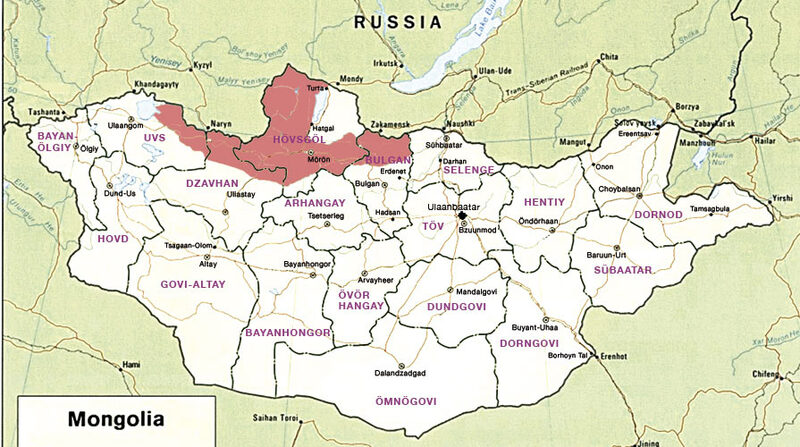 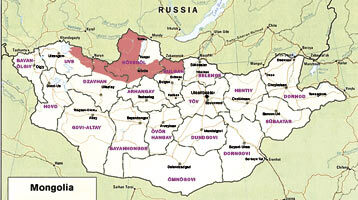 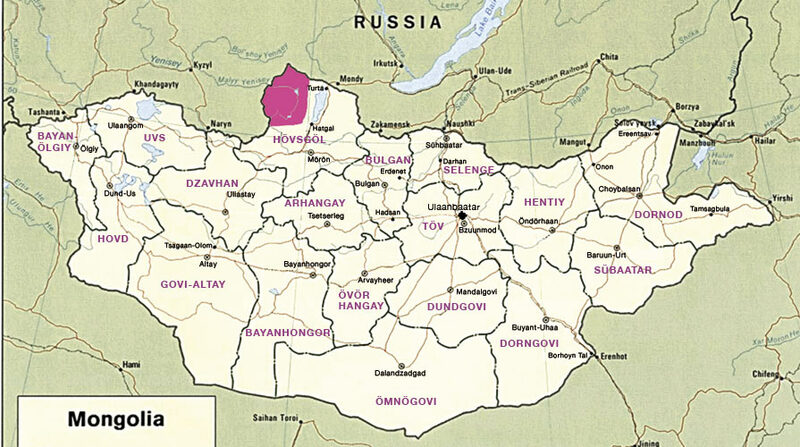 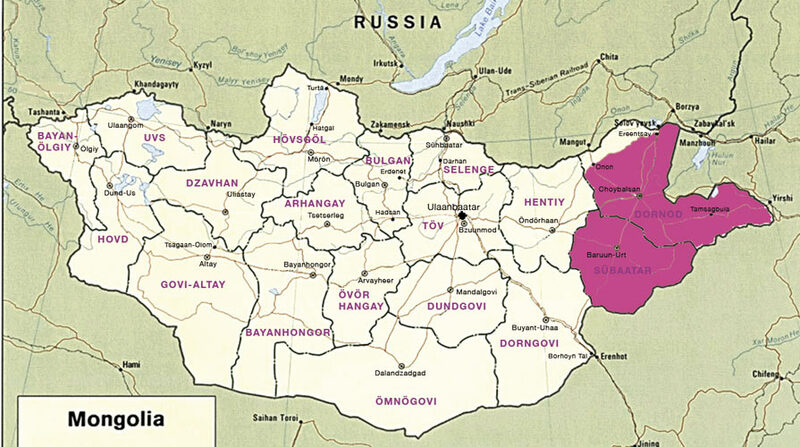 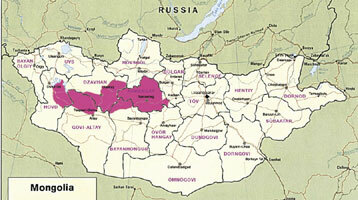 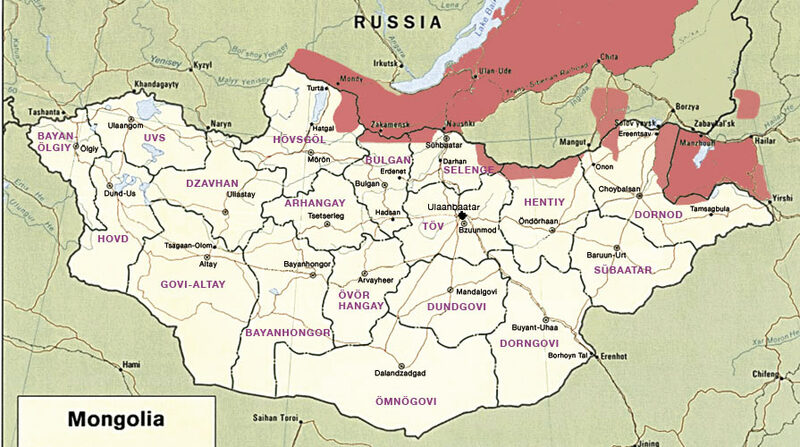 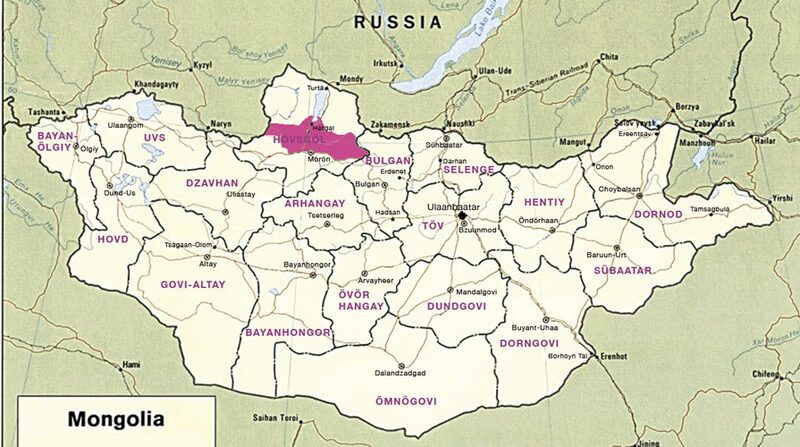 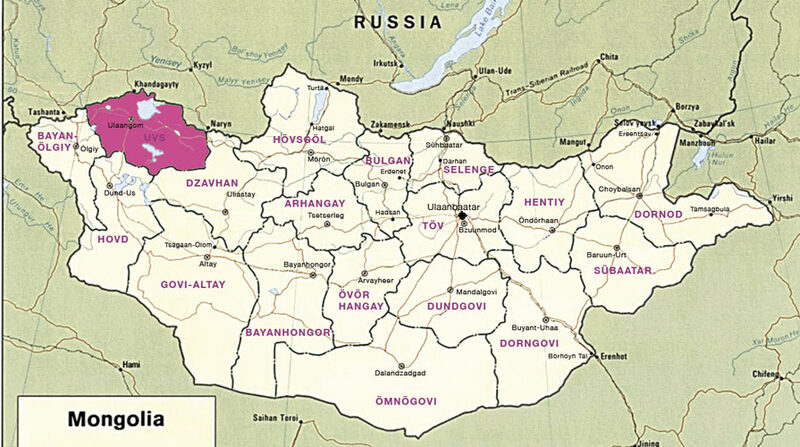 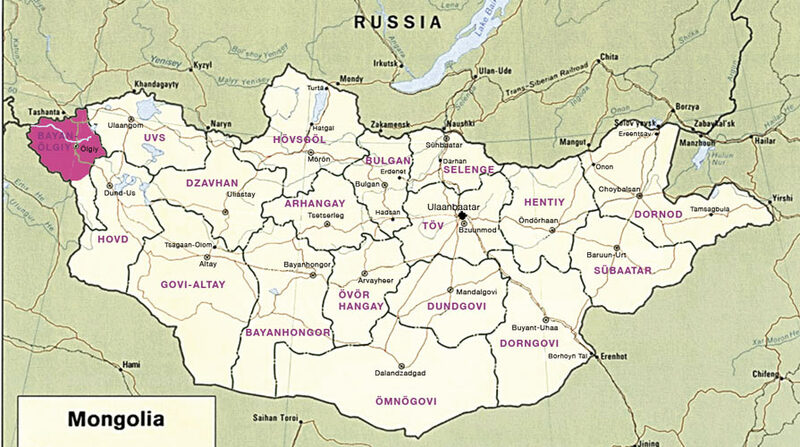 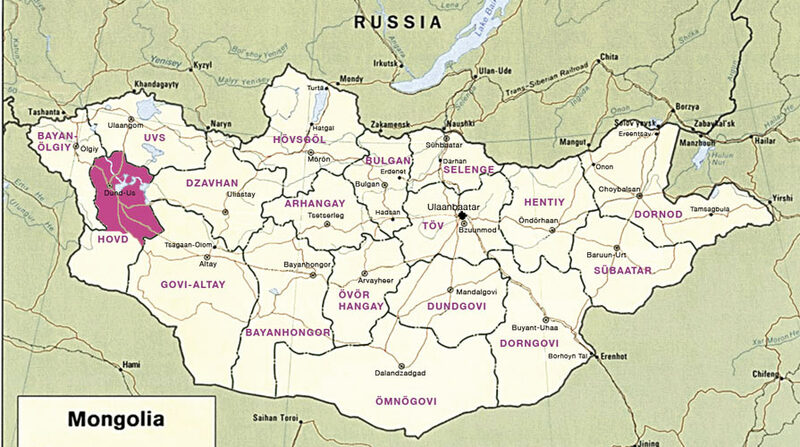 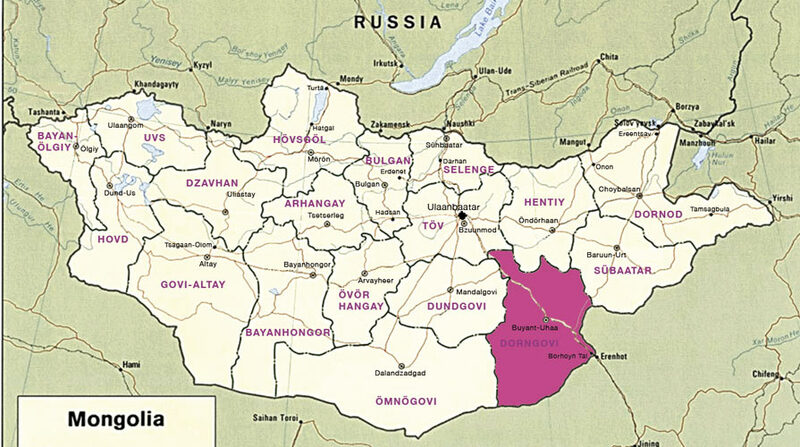 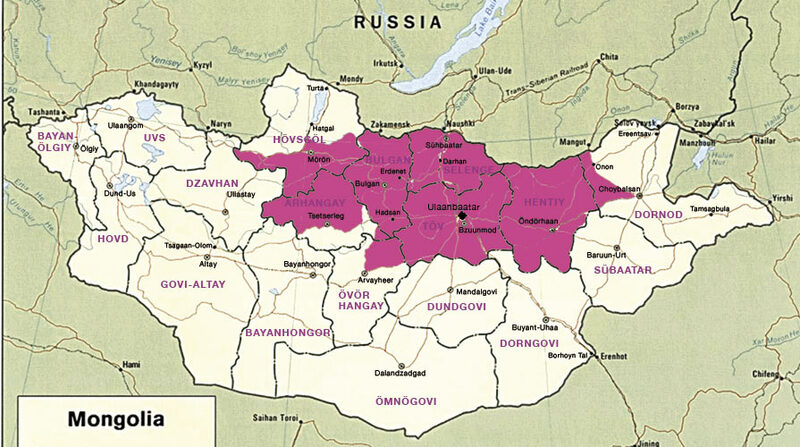 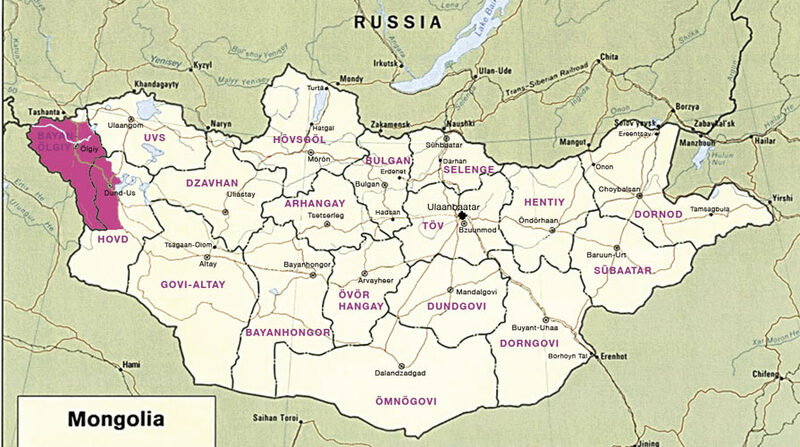 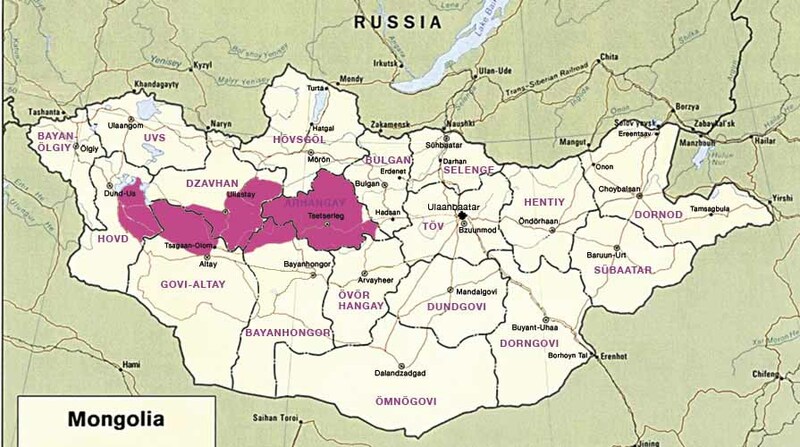 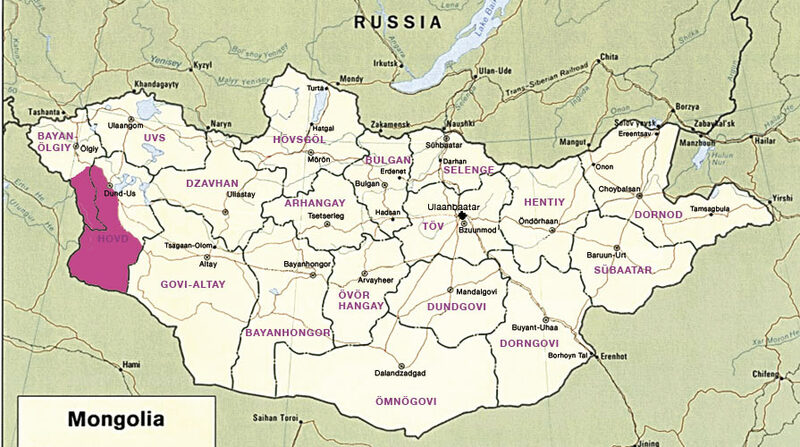 The largest group, the Khalkha, lives in Central and Eastern Mongolia; the Bayad, the Durvud, the Khoton, the Altai-Uriankhai, the Torguud, the Uuld, the Zakhchin and the Myangad live in the West; in Eastern Mongolia live the Dariganga, the Barga, the Uzemchin, the Buryat and the Khamnigan, and in the North the Khotgoid, the Darkhad, the Khuvsgul-Uriankhai, the Tsaatan and the Khakhar. 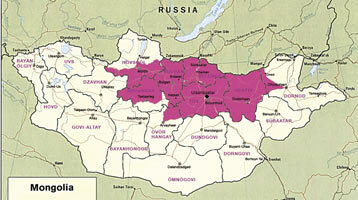 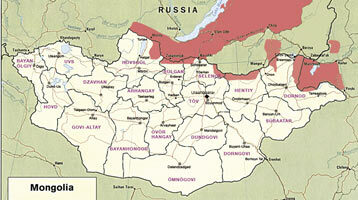 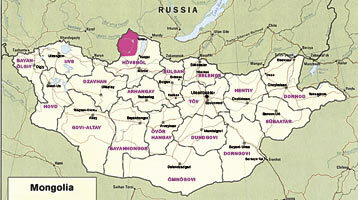 Also the Kazakhs, who are Muslims, live in the Altai. 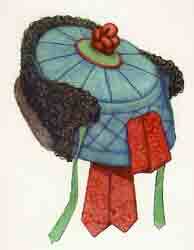 Its Chinese name was Kulun.